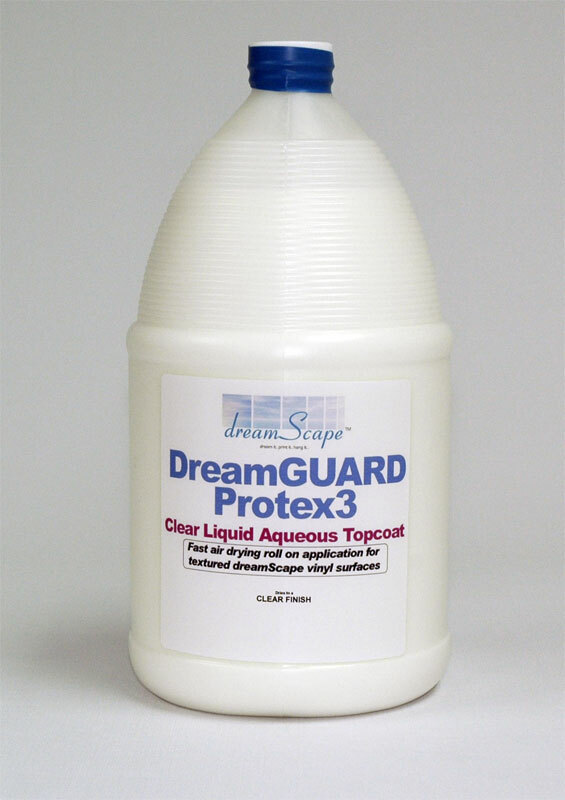 DreamGuard Protex 3 is the ultimate liquid topcoat that can easily be applied by machine or by hand with a typical paint roller. 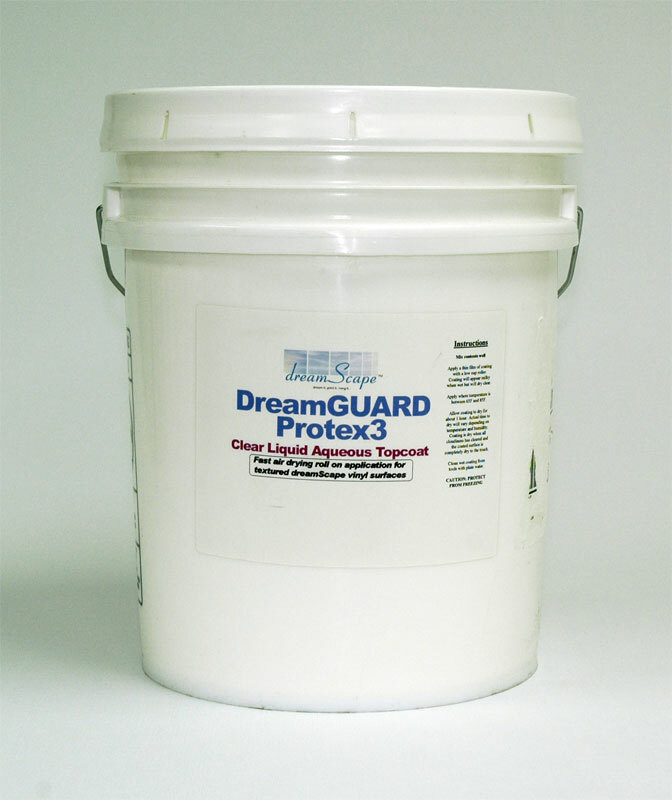 Liquid aqueous topcoat for DreamScape vinyls. VOC free, FDA approved for food contact. Invisible barrier of protection, non-yellowing, non-cracking. 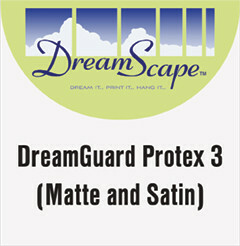 Protects any digital print from scratches and scuffs. Available in Satin or Matte finish.